Are you drinking the proverbial poison and expecting the other person to die? That’s what happens when we refuse to forgive. The person goes on with their life, while we are holding the bag of hurt they left behind. Just think, how many people have we, unintentionally or intentionally, hurt with our words or actions? Did God forgive us? When we walk in unforgiveness, we’re actually walking in sin, causing harm to ourselves, spiritually and physically. conscience, for example, will result in literal brain damage!”1 Furthermore, unforgiveness has been known to form cancers, depress the immune system, cause stress, and anxiety. Sometimes we are our own worst enemy, causing unecessary damage to ourselves, by not forgiving someone. like anger, resentment, bitterness, shame, grief, etc. Unforgiveness can block our blessings, so if we don’t forgive, aren’t we giving the person even more power and allowing them to hurt us over and over? God forgave us of our many sins, and we should be merciful and extend that same forgiveness to those who have hurt us, 1 John 1:9. “If we confess our sins, he is faithful and just to forgive us our sins, and to cleanse us from ll unrighteousness. “Not easy, but it’s a command. Let God avenge you and I might add, that He can do a far better job than you! Let us not be like the man in Matthew 18:21-35, who was forgiven his debt by the king, but then went out and demanded payment from someone who owed him far less. Forgiveness is part of our Christian walk, and we are to do it over and over and over again. 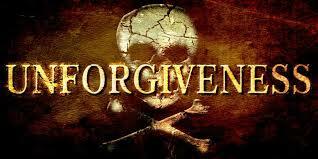 Peter asked Jesus, how many times should I forgive my brother and He said 70×7 (Matthew 18:21). That’s a lot! Your blessings are in your forgiveness and obedience. Let go of past hurts and let God take care of them. Amen. I love the “drinking poison” comment. Our bodies are not designed to bear the torture we often put it through. Our God, who created heaven and earth, can help us forgive if we let Him.